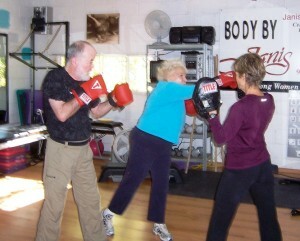 Dotty Vidargas has passed on at the age of 87 after religiously exercising for the last 7 years with me. Dotty always showed up early in the morning to workout before going to work. She would say, “Exercising at the gym keeps me from being a couch potato.” Dotty worked out until the last week of her life. Her spirit lives on in my gym. – Janis.